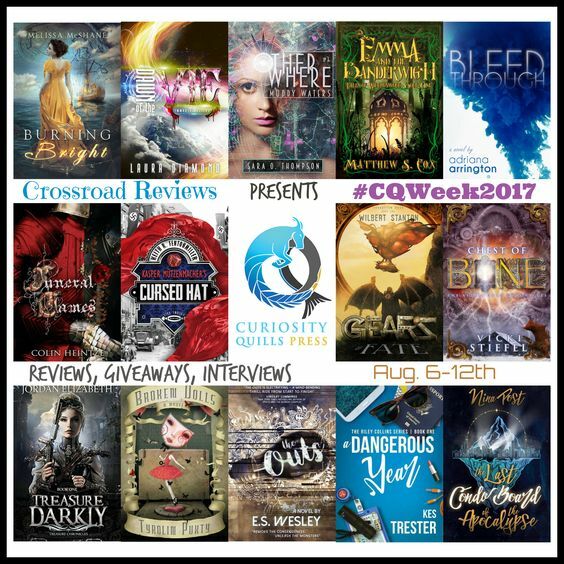 Welcome to this year's #CQWeek were so excited to share these titles with you! We loved this title and the story was so good! Check it out and don't forget to enter the giveaway and come back later for more! Twenty years ago, the boundary between worlds dropped. It will be a while before the political, social, and religious upheaval settles down but the good news is: now you can book a vacation to Valhalla as easily as you can go to Las Vegas. Your real estate agent might be a Wood Sprite. Your mechanic might be a Minotaur. For better or for worse, Supernormals are part of Earth life. Five years ago, Tessa Reddick was convicted of killing her entire family: 37 Witches from one of the most powerful covens in history. She’s been locked up at Lakeland Psychiatric hospital, still grieving but mad as hell at whoever – or whatever – put her there. but there’s a price. 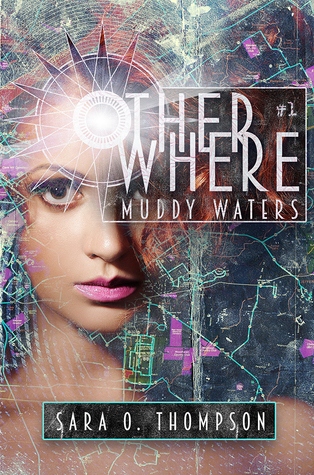 A series of murders is picking off Supernormals and the feds need the help of the last known Reddick Witch. Determined to learn who set her up for the fall, help solve the FBI crimes, and maybe get closer to her mysterious (and seriously hot) Dark Elf partner, Tessa is more than willing to play Witchy Nancy Drew. But Tessa has few friends left and something is coming for her, too – maybe it’s the one who framed her and killed her coven, or perhaps a new foe with a taste for Witch’s blood. Solving crimes, doing magic, drinking bourbon. It’s dirty work, but somebody has to do it. Sara O. Thompson’s first attempt at a book was prepared on a Remington typewriter and bore a suspicious resemblance to a famous novel whose title rhymes with ‘Gourd of the Spies.’ In her spare time, she performs improv comedy, occasionally tells stories on stage, and loves ballroom dancing. Sara lives in Louisville, Kentucky, with her family. The start of this book was really good but I would have to say that the main character wasn't all that and a box of crackers. The story and world building were great. I really loved the world that the author created. She did it in a way that if we saw it happen in our world it would be totally plausible. One of the other issues I had was pacing. This is a shorter book and happens over the course of a good amount of time. So with those two things together we tend to get a lot of parts that span a large amount of passing time and that messes with the pacing a lot. I think if the author revisited this one and tweaked it just a bit it would turn into an amazing story.